Drawings done while seated at a desk. Mostly during lunch. What is cooler than a pair of extinct hyperpredators high fiving each other? I bet you can not think of one. 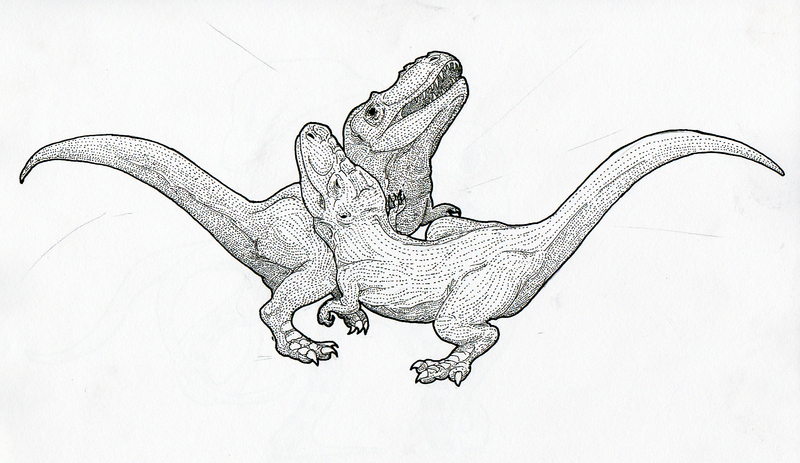 This entry was posted in Scanned Desksketch and tagged Dinosaur, Tyrannosaurus by Anthony. Bookmark the permalink.